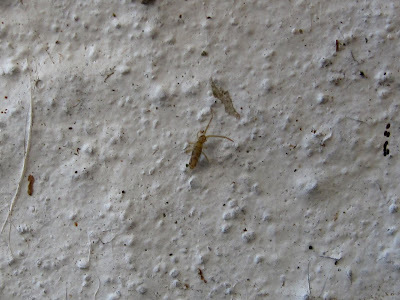 After researching and writing my first post on springtails, I suddenly have become much more aware of these tiny bugs. Yesterday in the garden, I came across quite a few. 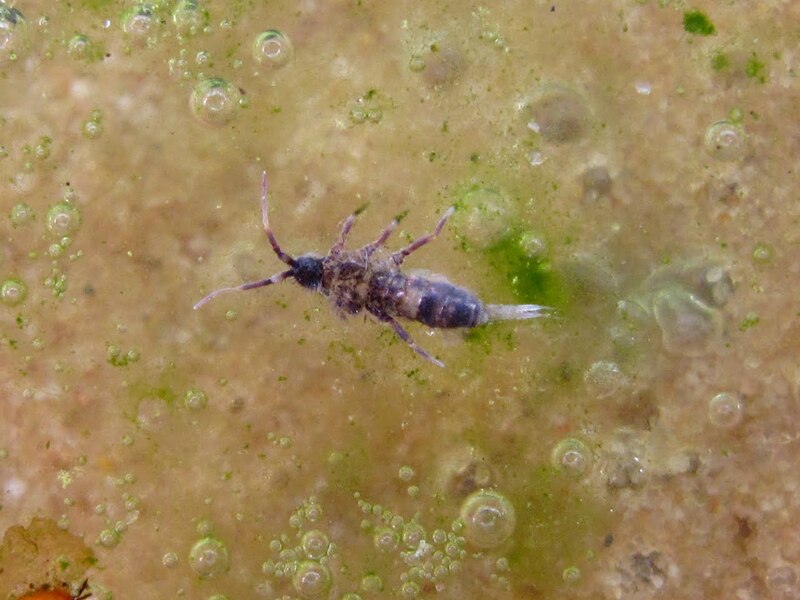 Something I didn't mention is that springtails can be very colourful. 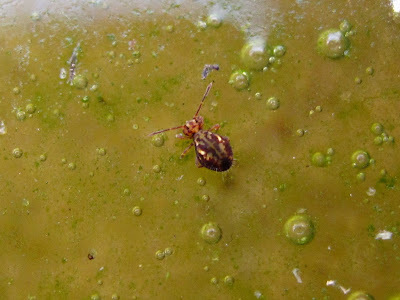 Once I cropped some of my pictures - I am working on the edge of the resolution on my Powershot G10 camera - the patterns on the abdomen of this tiny, oddly shaped, and appropriately named Dicyrtomina ornata appeared as quite striking. 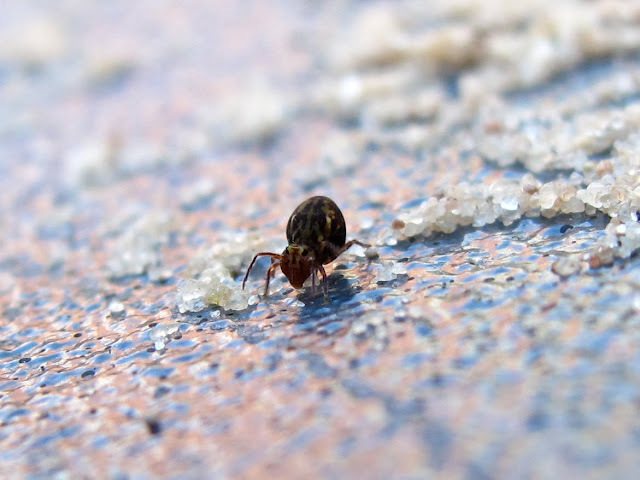 Found when lifting the plastic lid of a sandpit. I also came across a relative of the maned species I found in the conservatory; although hairy, this one has clear bands in the abdomen, and also banded antennae. I think it is Orchesella cincta. The sand grains gives an idea of scale. Some springtails had fallen on a little puddle and died. This one shows the little 'pole' they use for jumping extended behind its abdomen. Normally, the mechanism is tucked under their body. I made one springtail jump just to see the level of control they have on where they land and the direction. They seem to jump 'forward' most of the time, but the length of the jumps varied quite a lot. 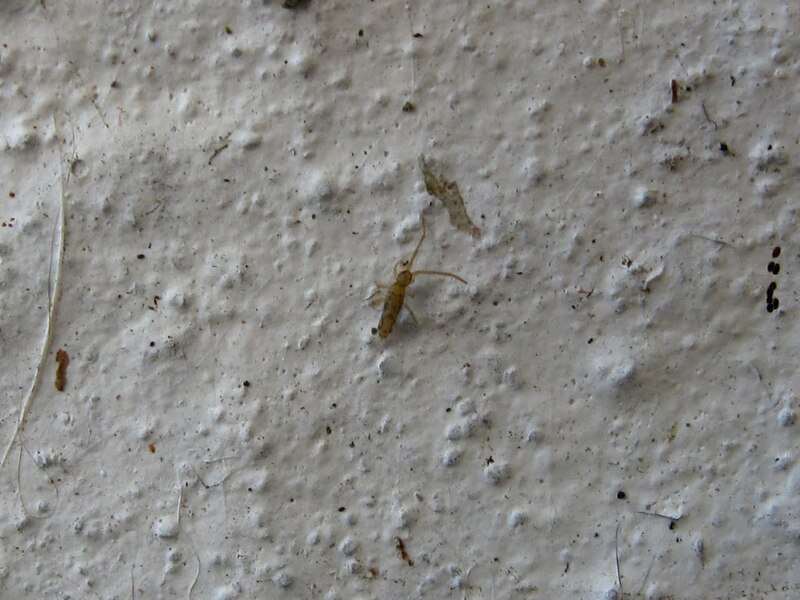 Finally, this is the tiniest springtail I've seen. Less than 2 mm in length, maybe just 1 mm. I do not know what species it is. I found it under a bonsai pot. 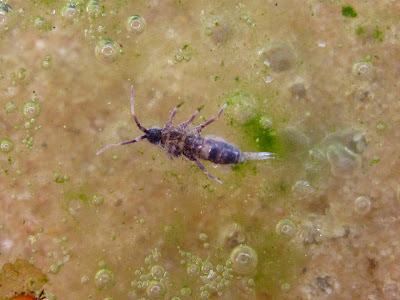 This page has identification and distribution information on UK springtails. I wonder if we have them here? They are everywhere, some species thrive on snow. 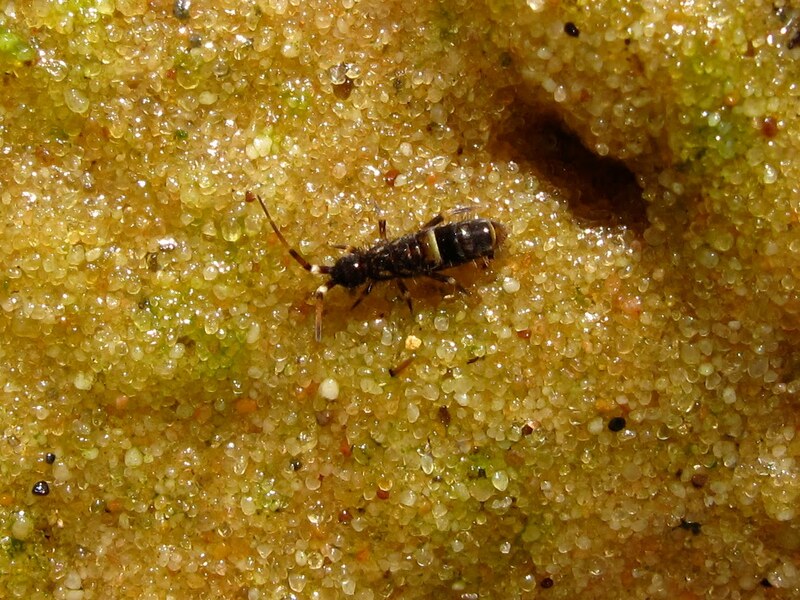 They are much smaller than earwigs, though.